Naza Automotive Manufacturing Sdn Bhd (NAM) is the manufacturing arm of the Naza Group located in Gurun Kedah. With the set-up cost of RM 700 million, NAM began operations in 2004 following the success of Kia sales in Malaysia since assuming its official distributorship in the late 1990s. In 2018, NAM inked a JV agreement with Groupe PSA, the second-largest car manufacturer in Europe and became Groupe PSA’s auto manufacturing hub to expand the French marques in ASEAN markets and beyond. With this agreement, Naza Group maintains its distribution rights in Malaysia and to explore other markets in the region, ensuring its status as a major player in the regional automotive industry. 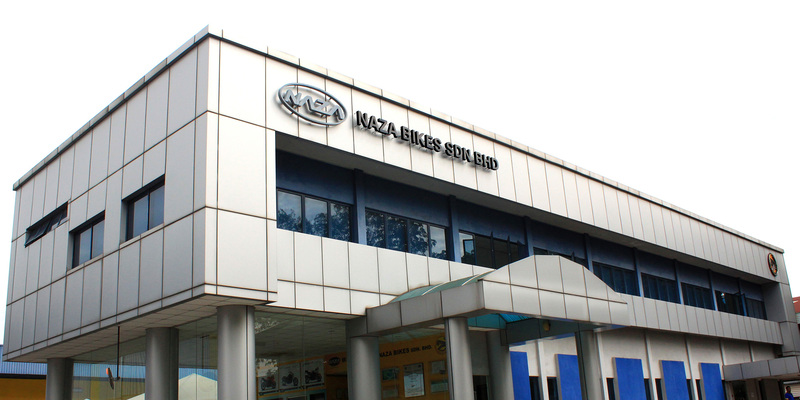 In 2003, the Naza Group invested RM30 million in Naza Bikes Sdn Bhd to construct a 24,000 square feet bike manufacturing plant in Seksyen 13, Shah Alam. The first two bikes produced at the plant were Naza Symphony and Naza Gemilang scooters, and further launched collaborations with Korean, Taiwanese and Chinese manufacturers to produce 12 other models. Today, the plant assembles a wide range of bikes including scooters, cruisers and superbikes with an annual capacity of 50,000 units. Naza Bikes also exports bikes from the plant to Iranian and Bruneian markets.